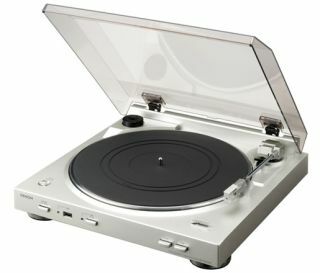 If you still have to convert all your old vinyl into MP3 then Denon's new DP-200USB turntable is perhaps the best way of getting the job done. Other than paying a bored student a lot of money to do it for you. No longer do you need to rely on cheap-as-chips vinyl-to-MP3 convertors bought from the back pages of the Sunday papers. You can save your MP3 files with the DP-200USB straight to a USB drive, which is even better if you want to share your tunes with your mates at work. Trans Music manager is the nifty bit of software that does the converting for you. Out in Japan next month, priced ¥31,500 ($310). TechRadar has contacted Denon UK to find out if and when the unit will be available over here.